For our Science Day this term, our task was to create an egg holder that would protect an egg dropped from height. Our challenge was to only restrict materials used to two items. We found that the more insulated the egg was, the less it was likely to crack. Sellotape helped keep it in place in many cases. Here are photos of our experiment. Year 6 went to the Nexus STEM centre to learn about gears, levers and pulleys. 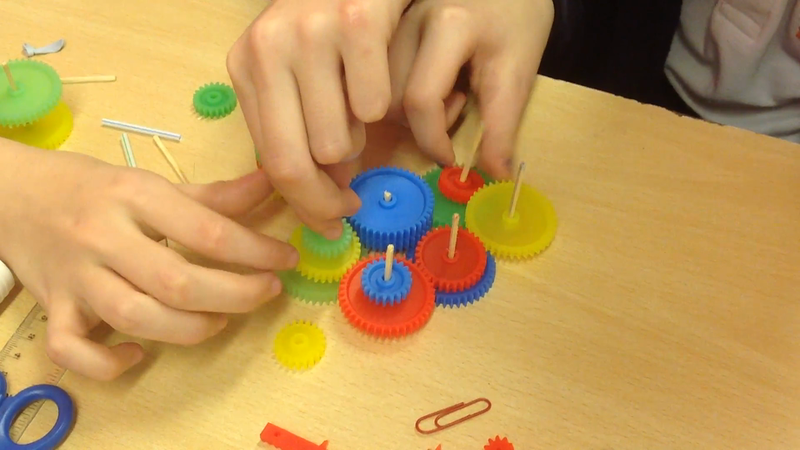 We had the opportunity to make our own pulley dolphin machine and construct cars out of lego using gears. Here are some photos from our day! 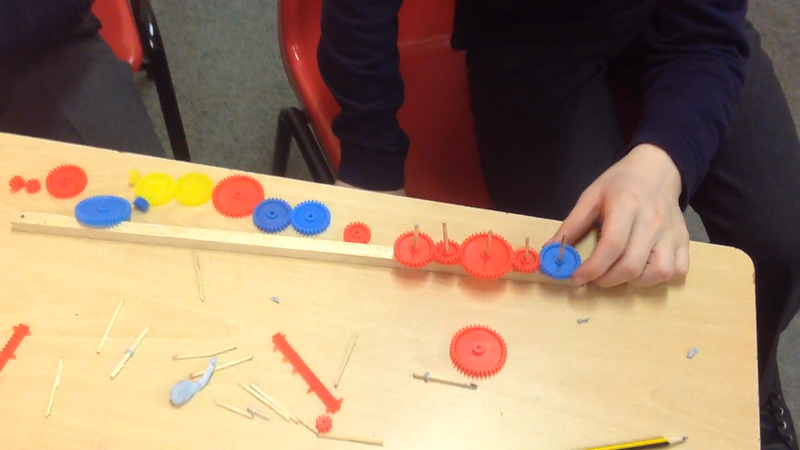 Year 6 had great fun making gears, levers and pulleys for the buildings we have been designing. Here are the pictures! Look at all the amazing costumes for World Book Day! A big welcome back to the Year 6 children. Please find attached the topic web for Spring 2. Year 6 have enjoyed making roses linked to the learning in English based on 'The Little Prince'. First we made the wire mesh for the stem, then made the rose petals out of clay. After they had dried, we painted and decorated them. Here are a few photos of what we have been working on. We hope you enjoy our work as much as we enjoyed making them! Please find attached the topic web for Spring. Happy New Year! Please find attached the areas of study for the beginning of the academic year. We have had a great start to the new year and have welcomed Miss Kemp to our team! We are starting to look at space as part of our new topic 'Eureka!'. In English we have been reading 'The Little Prince' which is a story about a boy from another planet, and have been exploring metaphors within the text. During our science day we had a wonderful time testing Mr. Heasman's different hair gels and what the effects of adding salt would do to the polymer element of the material. Please remember to bring PE kits in every day. Homework will be weekly; this will be set on Friday, to be handed in the following Wednesday. Please also remember to read 5x a week. Proving light travels in a straight line with shadows. Hot-seating in English. Interviewing Bilbo and Gollum! Can you decode the Viking runes? How much liquid was left in the bottles? Getting to grips with a compass-Maths crosses over into RE! The sunken house-dusty, damp and cold! Inside the Workshop-made of wattle and daub. We even found a Hobbit house! Class 6 love to dress up!